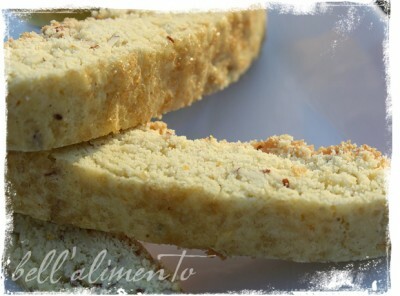 They are Tuscan Cookies that have a beautiful Anise flavor and are peppered with Almonds. Glorious, toasted Almonds.. aaah, okay back…These are traditionally enjoyed after a meal with a glass of Vin Santo. If you’ve never had Vin Santo OH MY GOOD…It’s ah-mazing. YES, pricey, I know but worth every stinkin penny. If you can’t get your hands on Vin Santo then you can substitute a dessert wine. Cantucci, pronounced: Can-too-chi are simply little bites of heaven & have been around for AGES. & when I say ages I’m talking like 1800’s yep. Told ya. I think you’re really going to enjoy the flavor combination on these. It’s a feast for the senses! Will make you think about dessert in a whole new way. Oh yeah, I said it! I know, I know, it’s in Metrics BUT we’ve put this handy dandy converter in the side bar for you! So voila! Happy conversions! Preheat your oven to 302 degrees. Place your almonds onto a rimmed cookie sheet & toast (Keep an eye on these, when toasted remove from oven & set aside). While Almonds are toasting, Into your mixing bowl add the butter, sugar, lemon zest & Vin Santo & with your paddle attachment mix together until pale & creamy. Gradually add in FOUR eggs mixing well after each one. Into a small bowl add the flour, salt, baking powder & Aniseed. Stir together with a fork. GENTLY & GRADUALLY add the flour mixture to the egg mixture until it comes together into a sticky dough. Once a dough has formed gently fold in the cooled almonds by hand. This recipe makes 3 logs (approx 36 cookies) So you’ll need two rimmed cookie sheets. Onto your rimmed cookie sheets lined with Parchment paper or a [amazonify]B00008T960::text::::Silpat mat[/amazonify] spread the mixture into three even logs (1 sheet with 2 logs, the other with 1 log). You can shape the logs with your hands or using a spatula. They should be as close to the same size as possible. Put the remaining egg into a small bowl & beat lightly, brush the tops of the logs with the egg wash. Sprinkle with Sugar in the Raw. Bake for approx 25-30 mins until tops are golden brown. Transfer immediately to a wire cooling rack & allow to cool for approx 10-15 mins until you can handle the logs without burning yourself. When cool to touch, cut with a serrated knife on the diagonal or you can cut it the width of the logs if you prefer. Reduce oven temperature to 170 & return cut pieces to cookie sheet and cook for approx 20 minutes turning half way through. Store cookies in an airtight container! All your biscotti look beautiful! I’ll be adding these to my cookie tray this year for sure! I’ve been wanting to try vin santo but can’t seem to find it here in Arizona. 🙁 Is there something I could substitute for the 2 tsps in this recipe? Ciao Theresa! You can use any sweet dessert wine to substitute ; ) Hope that helps! 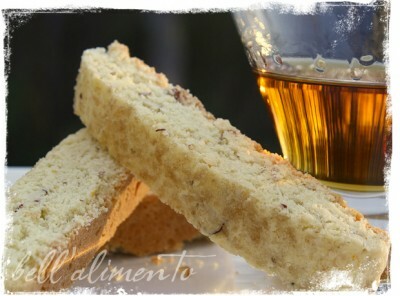 Yum…I LOOOVE biscotti. These look divine. Thanks Dawn! Me too! Such a nice change of pace from regular cookies, no? Hey my first time here, love your place, love the design, and most of al love these cookies. Have to try them out …like …TODAY ! Ciao Paula! Some friends just visited Siena and brought me back some locally made Cantucci. Oh yum! I’m hooked for sure. Now I’m itching to make my own, especially for the holidays. Tante grazie!! Ehila’ Laura! Prego e’ Grazie mille! Adoro i Cantucci! Sono proprio deliziosi! Yum! 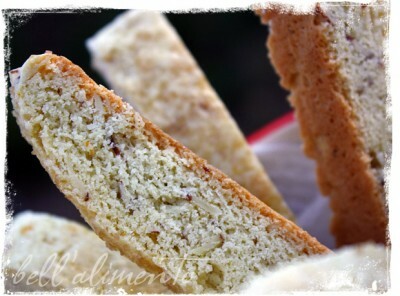 I adore biscotti… and I love the anise flavor. Do you make pizzelles with aniseed this time of year? A friend from work used to bring in his Italian girlfriend’s cookies at Christmas time, and they were wonderful! I can’t seem to get the correct conversions for your amount ( grams) . Could you please translate . I’d love to make the cantucci. Hi Susan! There is a handy dandy converter located in our right hand sidebar that you can use : ) Hope that helps. I adore the Cantucci! They’re so unique & tasty! Can we do this without the Vin?